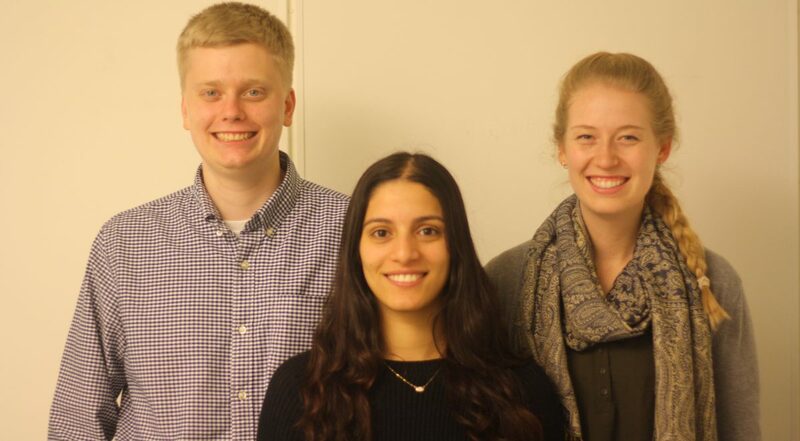 Karibu is pleased to welcome three interns to our secretariat in Oslo for the month of January 2019. Israa Khalifa (Egypt), Teigen Swanson (USA), and Britta Weber (USA) are all students at St. Olaf College in Northfield, MN – USA. They will be assisting the Karibu staff with a number of tasks during their four week period in Norway.